What is rain? That is the question that officials in Belgium - where it rains more than 200 days per year - are planning to set up a working group to discuss. 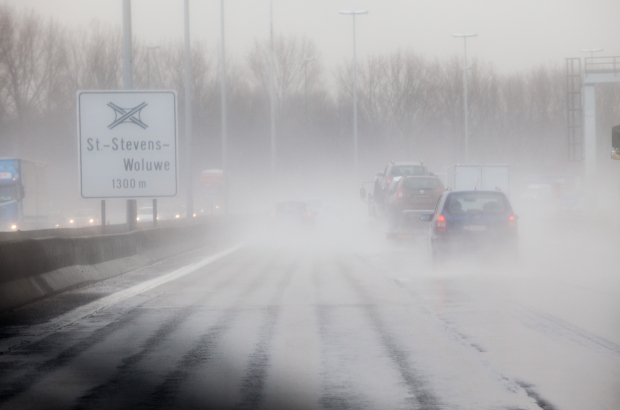 A legal definition of what counts as wet weather needs to be agreed, because of a new road safety measure that Flanders wants to introduce on the region's motorways next year. Flemish mobility minister Ben Weyts plans to use CCTV cameras to catch truck drivers who overtake in the rain. According to RTBF, Belgium is the only European country where such a manoeuvre is banned under the highway code. The cameras will be connected to a rain gauge to measure precipitation levels. But there is no legal framework defining at what point a little drizzle becomes hazardous wet conditions. Belgium's federal mobility minister François Bellot said: "If it turns out that the Flemish transport ministry has a problem defining rain, we are open to take part in a working group on this subject." His Flemish counterpart added: "Once it's settled, we'll be able to issue fines to truck drivers." According to driving assocciation Touring, a third of Belgian truck drivers do not respect the ban on overtaking in wet weather - and the rate is much higher among drivers of foreign-licensed lorries, who might be unaware that the rule exists. Wallonia has no plans to take a tougher stance on overtaking. "In the past, trucks would splash water everywhere which created aqua-planing and caused accidents," said a spokesperson for the Walloon Road Safety Agency, AWSR. "But today all trucks have flaps on their wheels which reduce splashing." They should consult with the Donald, the supreme rain expert.